Here is another important difference. While Russia acts alone in Crimea, Western countries acted multilaterally in Kosovo. And NATO acted only after months of diplomacy and attempts at ceasefires, with China and Russia supporting UN resolutions that condemned the excessive force used by Milosevic. A parallel process with Ukraine would have involved the international community trying to accompany the Ukrainian transition to a new regime with Crimea, before any military force was used. Russia’s motive for the Crimea intervention is clearly not humanitarian but strategic to protect its naval base, and perhaps also driven by an idea of a Greater Russia. The emotional tears and cheers of Russians in Moscow and Crimea of the last days demonstrate the strong identity feelings that are involved. One similarity with Kosovo is that Milosevic abolished the autonomy that the region had previously enjoyed. The immediate threat by the new Kiev government against the Russian language, vetoed by the President, could perhaps be constructed as a parallel measure in terms of curbing privileges of the ethnic minority, and a first sign that ethnic Russians were no longer as welcome as before in Crimea. By continuing to acknowledge the ousted Yanukovitch as the legitimate President of Ukraine, however, Russia deprived itself of a diplomatic channel to voice its legitimate concerns. Kosovo’s declaration of independence came in 2008, nearly ten years after the bombing, and not after a couple of weeks, as in Crimea. But both were declared unilaterally and against the will of the sovereign state to which they belonged, which makes the cases different from Scotland where the upcoming referendum on independence has been approved under British law. In Spain, by contrast, the Catalan and Spanish governments do not see eye to eye on a planned referendum in the Autumn. In Kosovo, the declaration of independence came after years of unsuccessful negotiations under UN auspices, with Martti Ahtisaari in the role of the patient UN envoy from Finland, at a time when the UN was de facto ruling a part of what was still formally Serbia, and Kosovars carried UN passports. The International Court of Justice in The Hague declared the unilateral declaration to secede valid under international law, though it stayed away from ruling whether Kosovo itself was legal. Lawyers can scratch their heads in attempts to explain how a legally valid declaration of independence does not automatically make your independence legal. But in the end the judges decided wisely to leave the decision to politics: the Court recognized the possibility of a unilateral declaration, but the country itself still needed to be accepted by the international community to be legitimate, not by some judges. The issue of territorial integrity and break-away regions remains murky. As of today, five of the 28 EU countries have still not recognized Kosovo as a state, because they fear repercussions on their own situation. Cyprus fears the creation of a permanently divided island and others fear repercussions on their own territorial integrity. The US state department continues to claim that Kosovo was “sui generis”, and that no other case is alike. Clearly not all EU countries regard the Kosovo case as unique. A few weeks ago, I met a Kosovar at a conference. He explained that he abandoned a plan to visit the sunny Canary Islands in Spain for a vacation with his girlfriend, an EU citizen. His Schengen visa, in reference to the border-free travel zone amongst EU countries, is not recognized by the Spanish authorities, and he refused to go through the hassle of applying for an extra short stay visa from Spain. For Kosovars, a Schengen visa does not give the right to travel to all Schengen countries. 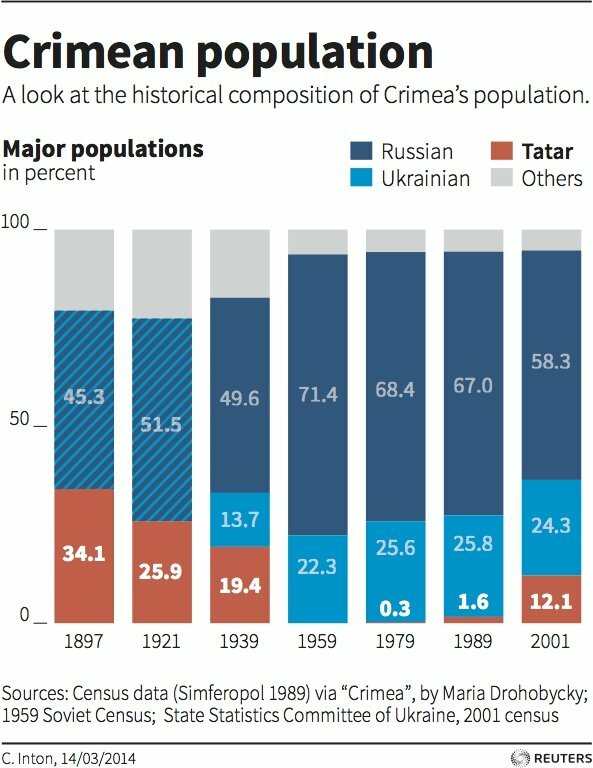 It is a detail in the geopolitical story of Crimea, but geopolitics often affects people more than it takes them into account. Out of respect for all those who died or suffered under Milosevic, let’s stop comparing Kosovo and Crimea. Thank you. Obama at Brussels’ Bozar made good comments on this. While former German Chancellor Gerhard Schroder went along with Putin’s comparison.